Technical and industrial screen printing is a growing area of application. Ceramics, glass, textiles, panels, solar cells, PCBs, automotive parts, and an increasing number of smartphones, tablets, and displays are harnessing the benefits of screen printing such as high layer thicknesses, unproblematic inks, and printing of surfaces of any shape or texture. Heliograph offers attractive solutions for this market segment in particular. The perfect solution is Lüscher’s versatile MultiDX! flatbed CTP system with 405 nm laser diodes that can image flat screen stencils. The table on which the pre-coated screens are fixed can be adapted to the specific shape and size of the frame. In addition to screens for flatbed machines, the MultiDX! 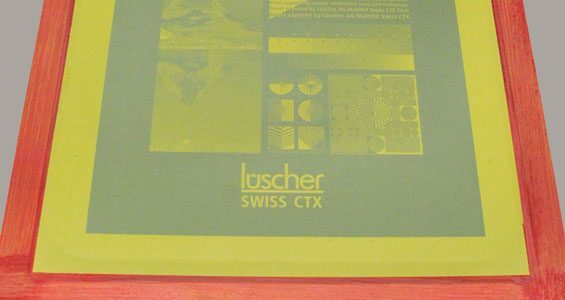 can also produce stencils that subsequently undergo further processing to create round forms, such as Screeny ́s that were developed by Gallus for its narrow-­web label presses or Tec Screen from Kocher & Beck. Flat screens can also be imaged in Lüscher’s XPose! UV universal internal drum CTP system. 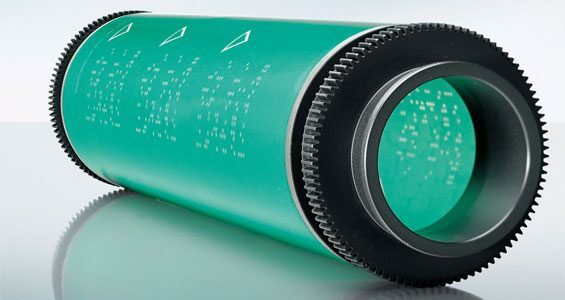 We offer external drum lasers to image round screen stencils intended for textile web printing and similar industrial decorative applications. Lüscher’s JetScreen DX round is equipped with laser diodes for all known photoresists for this purpose. The standard resolution can be increased to 2540 dpi.